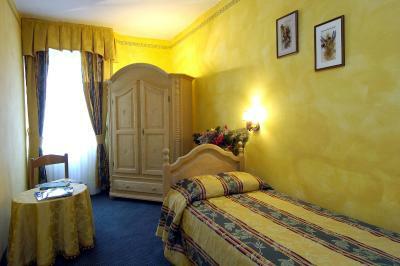 Lock in a great price for Hotel Olimpia – rated 8.2 by recent guests! The staff was extremely welcoming and helpful. We had to check out early on our last day to catch a bus, and they made us lunch to take away since we’d be missing breakfast! They also helped us find local hikes to take which were hard to find since we were visiting during the off season. Highly recommend. Dated but great value. 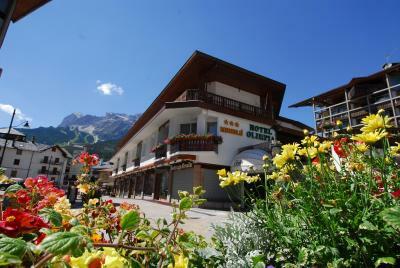 Located steps from the main bus station and the town plaza. Easy to get the ski bus. Lots of restaurants and shops nearby. 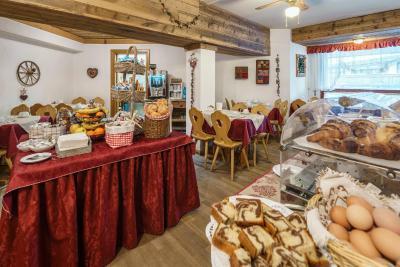 Every single member of staff was super friendly - reception, cleaning, restaurant. They even packed me a to-go breakfast when I had to check out early the next morning! 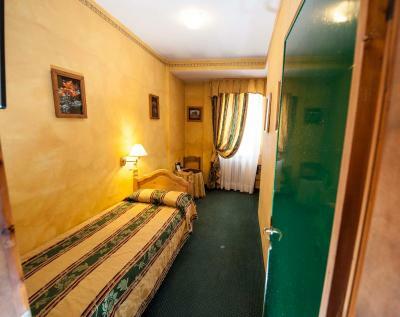 Room very adequate for the price. Staff- helpful, breakfast- excellent, room modest but comfortable, bath- clean and comfortable, location- excellent in downtown. 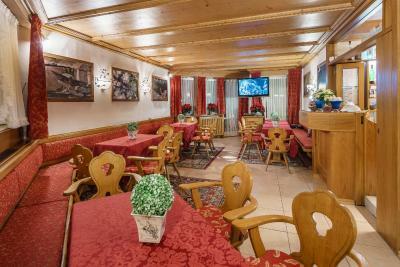 The hotel is an early version in central Cortina in various stages of renovating. 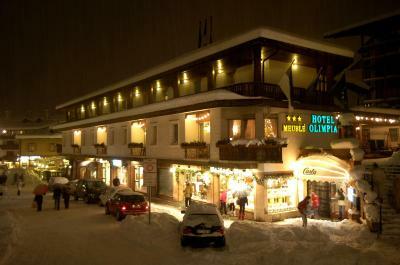 Hotel Olimpia is conveniently located in the very center of Cortina. The Faloria lift is 2 mins walk. 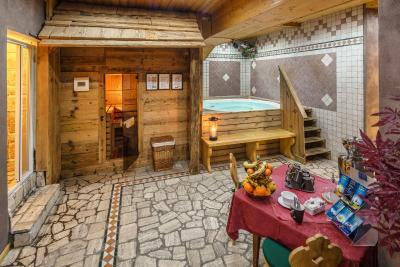 The bus n. 3 to the Tofana slopes is 1 min by walk. 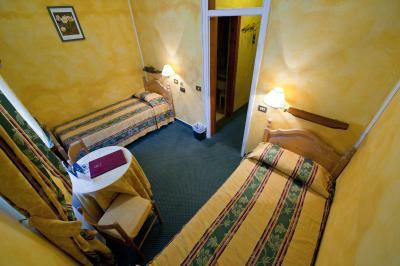 The staff is extraordinarily kind and helpful: a rare thing in Italy. 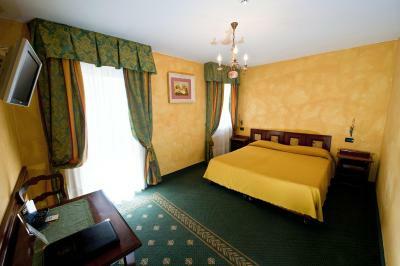 The room was recently renovated, clean and spacious. Breakfast is very good. Value for money is also fantastic: you cannot beat the Olimpia and we will surely be back. Highly recommended. Very kind staff especially the lady in the kitchen. The breakfast is really good. 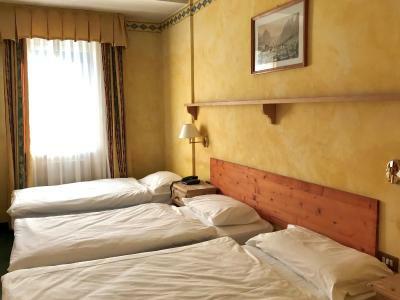 Very close to the bus station and just in the center of Cortina. The staff is amazing! There was a blonde woman there (I’m sorry I don’t know her name) who was so nice and incredibly helpful! She let me leave my bag so I could walk around and answered all of my questions! Super clean! Beds are comfy! Balconies and windows are far enough away from other buildings and the ground that you feel comfortable having it open overnight to cool the room. Great location. 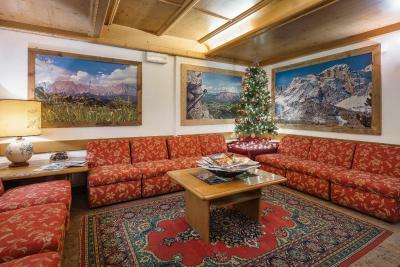 Two to 3 minutes walk to cortina bus station. Staff were really helpfull and nice. Breakfast is excellent with plenty of choices. I needed a sim data plan so there is a Vodafone shop next to the hotel. Clean rooms. Wifi is working and is accessible from the room (64) which was a concern of mine when booking in the hotel based on many previous reviews. They helped us to print the bus ticket using a computer with a printer free of charge. The front desk are very helpful, especially Marcello and Verone, helping us with all of our requests. 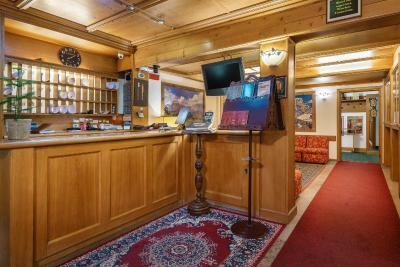 The hotel location is perfect, just 5 min walk from the main bus station, and 50 meters away from the popular restaurant "5 Torr". The staff was great and very helpful. 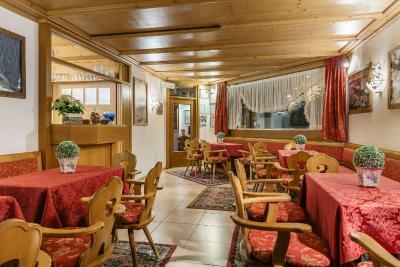 The location is great and overall it's a great value for Cortina. 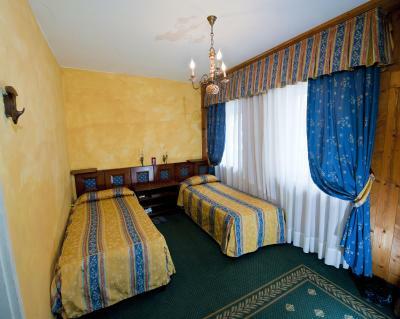 Hotel Olimpia This rating is a reflection of how the property compares to the industry standard when it comes to price, facilities and services available. It's based on a self-evaluation by the property. Use this rating to help choose your stay! 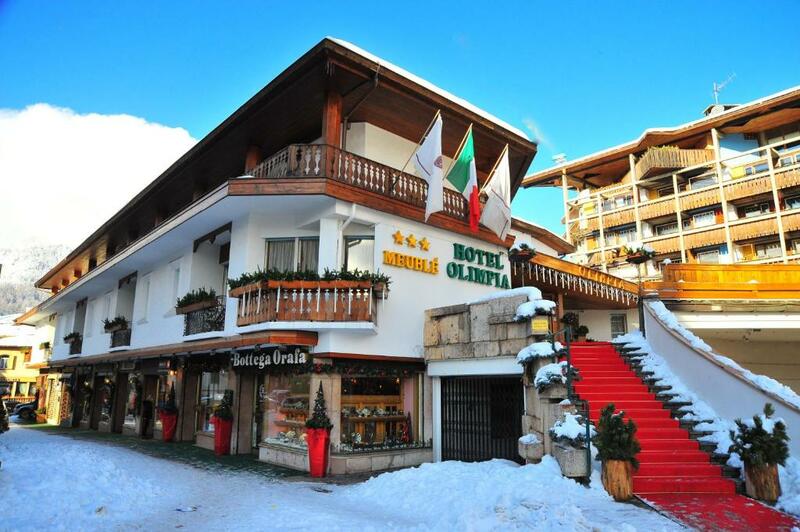 One of our top picks in Cortina dʼAmpezzo.Hotel Olimpia is in Largo Poste, 1,650 feet from the Faloria ski elevators in the center of Cortina. 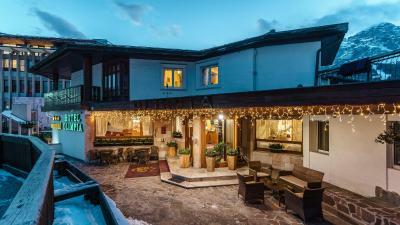 It features a terrace with views of the Tofane Mountains, and functional, rooms with attached bathroom with free Wi-Fi and satellite TV. 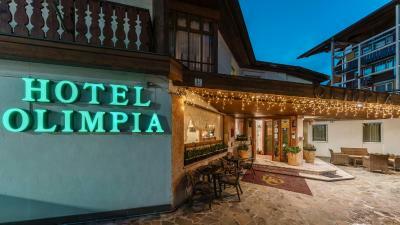 The 3-star Olimpia Hotel offers a comfortable lounge with bar, and an internet terminal at reception. During winter there is indoor ski and boot storage, and in the summer there is bicycle storage. 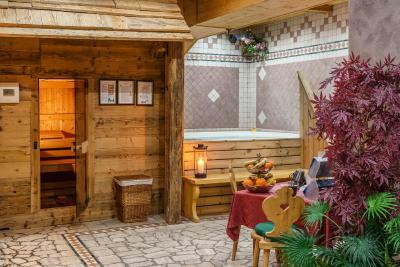 This family-run hotel is complete with a wellness center with sauna and hot tub. The surrounding area is well served by public transport, and private parking is possible on site. 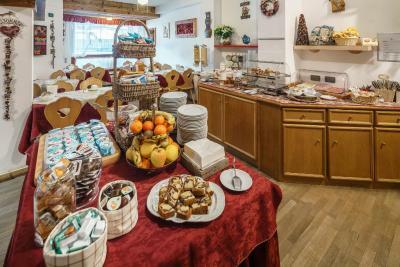 A generous buffet breakfast is served from early in the morning. 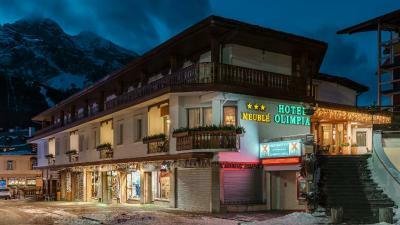 When would you like to stay at Hotel Olimpia? 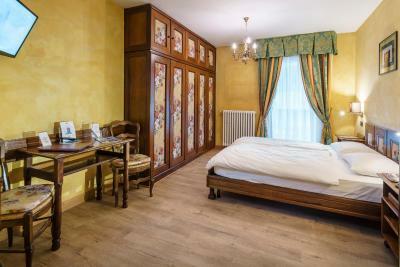 Functional room with classic design and carpeted floors. 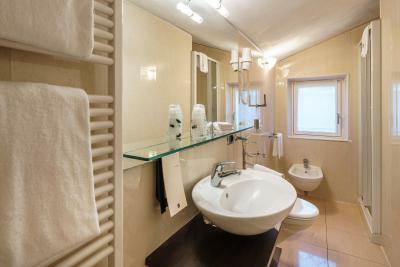 Offers a flat-screen satellite TV and a fully equipped bathroom with shower. Wi-Fi is free. 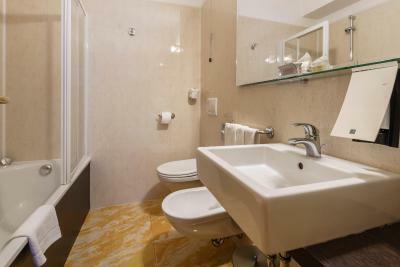 Functional room with attached bathroom with classic design and carpeted floors. 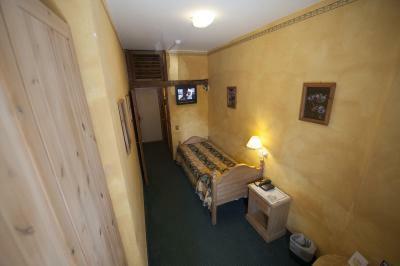 Offers a flat-screen satellite TV. Wi-Fi is free. 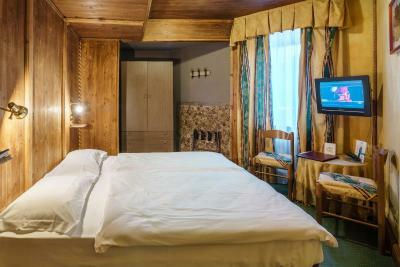 House Rules Hotel Olimpia takes special requests – add in the next step! Hotel Olimpia accepts these cards and reserves the right to temporarily hold an amount prior to arrival. Please note that the wellness center is at an additional cost. Please note that parking is subject to availability, as there are 10 parking spaces only. Please note that due to this property being accessed by stairs, it is not accessible for disabled guests. 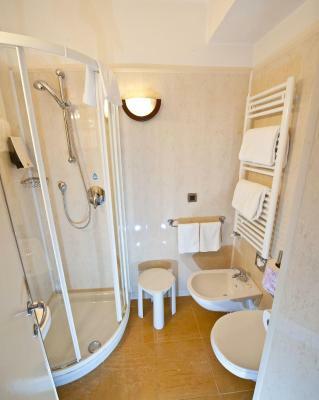 The double room had a very small and cramped shower. Central, clean, good staff, good breakfast. 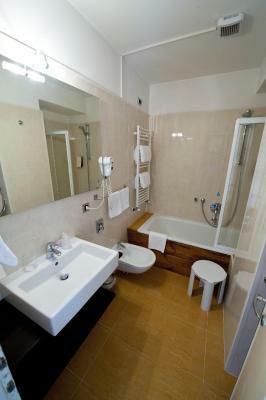 Location and in room facilities. 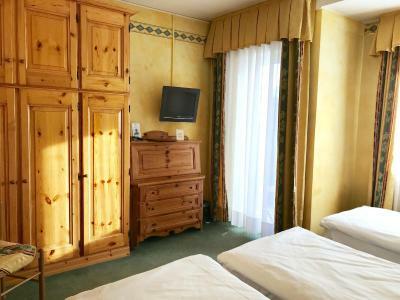 A comfortable, simple hotel with everything you need. 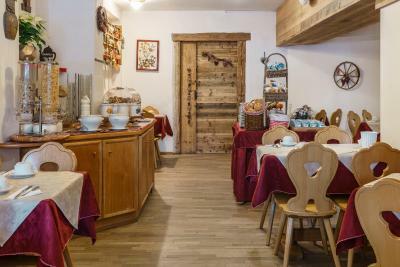 The property is a 2min walk from the bus station and close to the Faloria gondola. 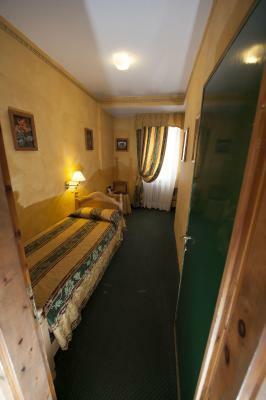 My single room was very clean, quite large and well furnished. 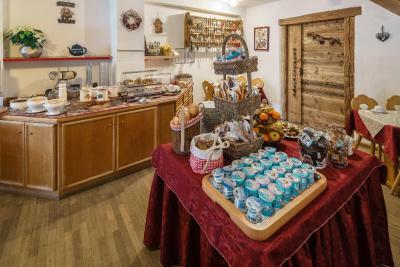 The cold buffet breakfast had a good selection of sweet and savoury items with bottomless coffee, tea and fruit juices. Great staff. Had interaction with two of the staff members, good english and more then helpfull! Really appreciate both the persons. Good position, close to the city center and main walking area. 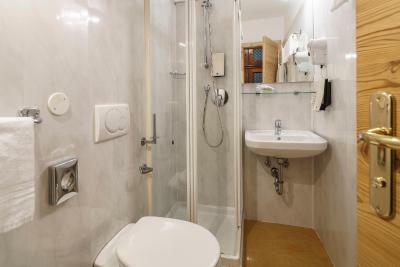 Good and clean bathroom, had everything you would need! Good breakfast. there was little bit of noise from centre in the evening, but our room was located in that part of hotel, so thats why. The room was dusty, the paint on the walls weird, the bad uncomfortable, the pillow too hard. The breakfast is lacking warm food. The location is good. The stuff is welcoming and they helped with information. 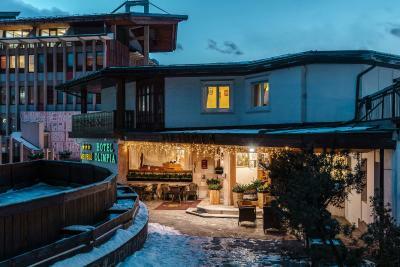 Perfect location in the town centre with beautiful views of the mountains and church. 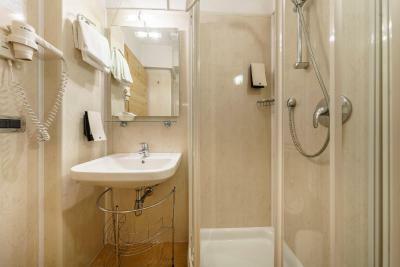 Spotlessly clean and staff very polite and helpful. 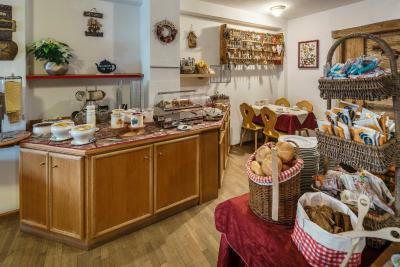 Lovely breakfast selection included and run very efficiently in cosy dining area. Thank you! It was a was very close to everything in town. Old, they should change rugs ( with holes), and stains Very noisy. Good location and staff. It’s clean. Perfect location in a great town!